SRINAGAR: As intense cold wave condition grips Kashmir, a non-governmental organisation has set up a 'wall of kindness' along the banks of River Jhelum in the city to enable people to donate clothes to the needy. 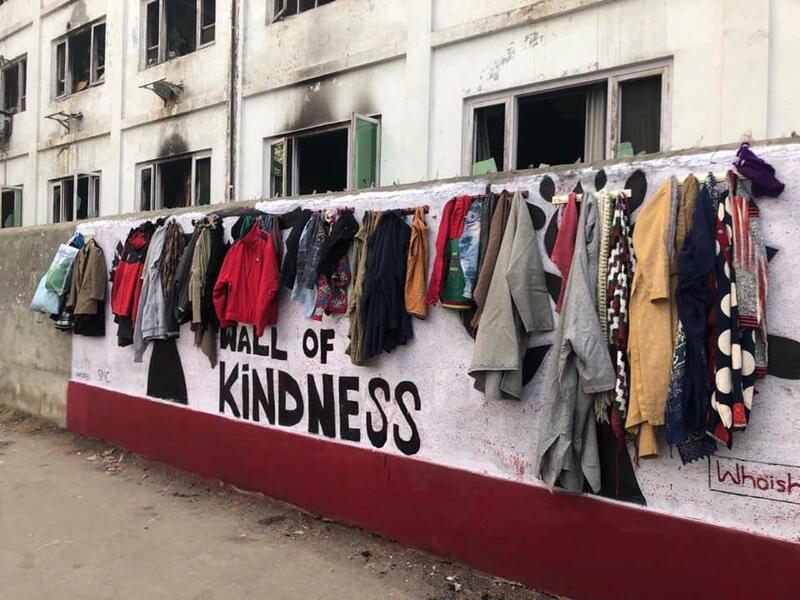 "This initiative is just an introduction of #wallofkindness in #kashmir. We wish people especially youth to take up this initiative at mohalla levels and make this idea a common thing around us. #spreadlove #helpneedy#whoishussain, Abrar Ali, one of the volunteers, wrote on his Facebook page.